Here’s the link for Chapter 2. It’s going to be one chapter a week for the next little while. Here’s the link. The excerpts for Book 3 are up! 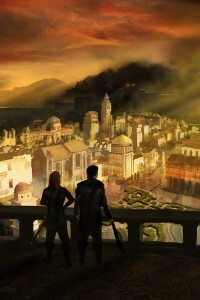 The excerpts for Book 3-A Warrior’s Penance-are up! Right now, it’s just The Trials So Far (A reminder of all that’s happened so far) and the prologue. However, over the next few months, I’ll release a new chapter a week. That should put us pretty close to the release date for the book. Just look for “Excerpts” in the top set of tabs and follow the drop down menu. I’ll be releasing about a chapter a week from book 3 over the next month or so. The first chapter should be out by Wednesday. Here’s a look at the cover art for book 3.